World-famous science author Professor Richard Dawkins, during an interview about his new book The God Delusion, mentions the Flying Spaghetti Monster. (Around 1:50). It seems that he’s saying the existence of the Christian God is as likely as the existence of the Flying Spaghetti Monster, and that you can’t disprove either. Perhaps he’s not aware of the evidence we’ve gathered in support of the existence of the FSM, and all the academic endorsements, etc. 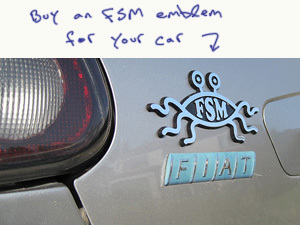 Or, maybe he’s tentative about revealing his true faith, Pastafarianism. Iâ€™d say thatâ€™s evidence for Dawkinsâ€™ Pastafarianism at least as strong as the Global Temperature/Pirates correlation, wouldnâ€™t you? 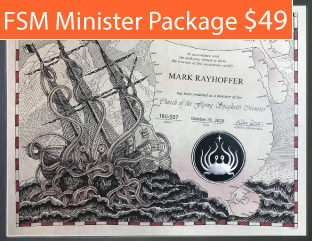 *update 2* – Further evidence of Richard Dawkins’ Pastafarian beliefs: On today’s NPR Science Friday radio show, Professor Dawkins again mentions the Flying Spaghetti Monster. Link to the radio show. Here’s another good video of Richard Dawkins. 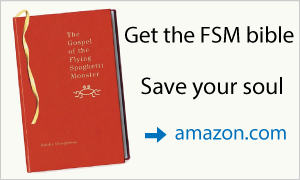 The Gospel of the Flying Spaghetti Monster has been nominated for the 2006 Quill Awards in the Humor category! These awards are chosen by the public, so it is very important that everyone vote here. Thank you very much. Clearly you are doing the work of HIM and should be praised. We need more schools in the world promoting the truth that the first sentient being HE created was a midgit in full pirate regalia. May his noodly appendages shine down the light of his invisible ways to you. Quite by chance, I ran across your letter to the Kansas School Board. I thought it was fantastic! With each passing day, one wonders if there is any logic left in this country, as the fundamentalists gain more and more power with government. Each and every Bible waver seems to believe they “know” what’s best for all of us. Of course, each has their own interpretation of what “God” says. And, we should “know” it is fact, since they use the very same source to substantiate their “facts.” Of course, any attempt to point out the many inconsistencies and flaws in their might book are countered by how we have “taken it out of context.” Yet, there is no explanation from them for the inconsistencies. If they believe their theory with such resolve, one would think they would be willing to allow science to explore all avenues and perhaps prove their theory for them. I suppose they don’t want to waste time with that! Your letter reminds me of a time, many years ago, when I was a student in a college anthropology class. 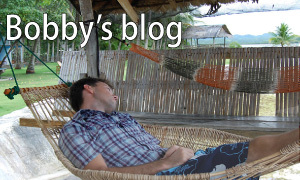 We had a student, Jehovah’s Witness….who challenged everything taught. One day, sitting there holding a fossilized dinosaur bone, she argued that not such creature ever existed, but was merely a “trick” by the devil. Reason? Dinosaurs weren’t mentioned in the Bible. Yet, there she sat, dinosaur fossil in hand. The professor finally asked her why she was wasting her money and our time, occupying a seat in a university, since she had all the answers to the universe in her hand. Again, thank you for a very refreshing point of view. It’s good to know there is still some who chose reason and logic over blind belief. 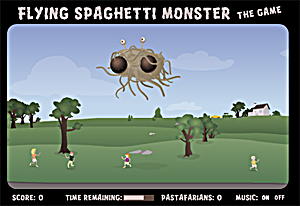 Long Like The Spaghetti Monster!!!!! Nicely done. I also recognize that if you are able to write such a clear satire that you are intelligent enough to realize that the little minds you are attempting to have some impact on…with, what to most of us is so patently obvious … i.e. that their pathetic, but fearsome (based on fear, not love) beliefs are plainly stupid … will not have the desired effect. They will not get it. But, thank you for the entertainment for the rest of us.